In June of 2018, Mike Dankert, who I served with in Vietnam and my best friend, with my oldest son, David, returned to Vietnam. 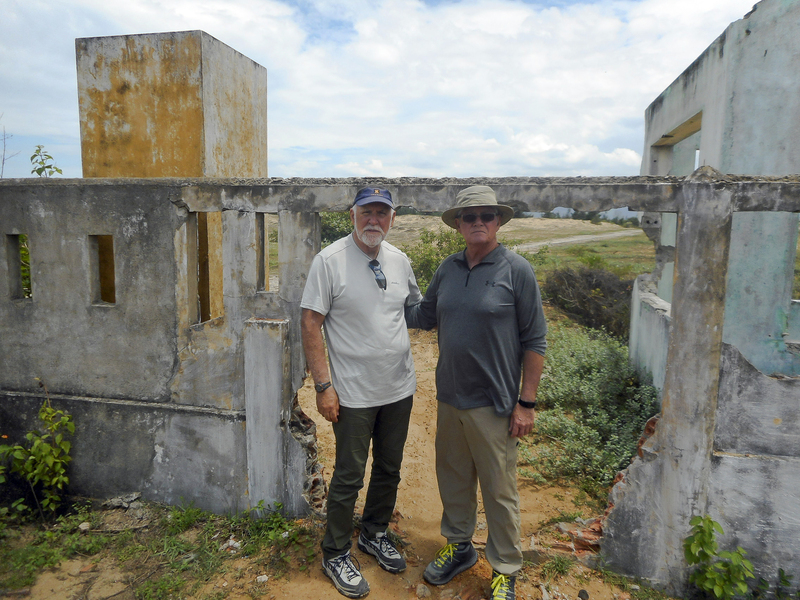 One of the places we visited was the Americal Division Combat Center in Chu Lai. Stopping alongside the road we got out of the van and headed to an opening in the concrete wall that ran parallel to the street to the entrance to what we thought was the Combat Center. 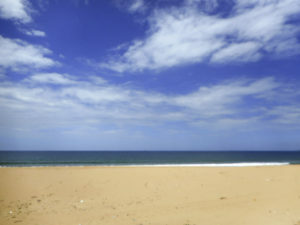 Of course, nothing was there from the days of the military base, just barren land covered in white sand and sparse vegetation. As we walked to the point where I thought was the entrance to the Combat Center, it wasn’t too hard to visualize the location of the Shipping Shed, and where my hooch was on the right side of the entrance. I pointed out to David and Mike where Wayne and my hooch would’ve been when we arrived at the Combat Center. Then I showed them the area where we watched movies at the outdoor theater, and where the shower was when Wayne got me cleaned up from one night of me drinking too much beer. Assuming the road that paralleled the beach wasn’t moved over the years, the locations I pointed at were correct. It was at my hooch that Mike came to visit after he got a “rear job,” working in supply, in Duc Pho. We sat on the front porch watching the South China Sea, sipping on our Jim Beam and Coke, while talking about our time together and our platoon brothers. 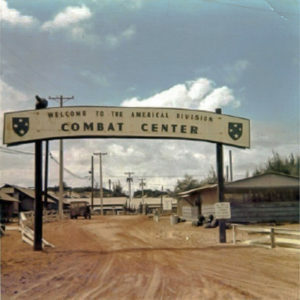 Being at the Combat Center held special memories for me because it was the location where I felt safe from war and shared time with my brother, Wayne. We flew to Vietnam together. Later, the Combat Center became my sanctuary after my time with First Platoon. While standing on the white sand, I recalled the time Wayne and I spent at the Combat Center, March – April 1969. After the first roll-call, the Company Commander opted to keep us at the Combat Center, until he decided what to do with us. Two brothers in-country presented a problem. I was disappointed. 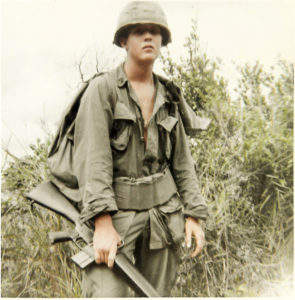 For me, going to an infantry unit is why I enlisted in the Army and wanted to go to Vietnam and serve my country. It was my duty. 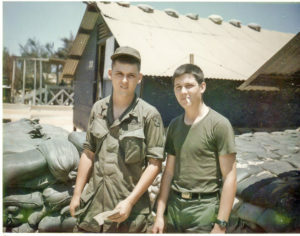 I wasn’t trained as an infantry soldier to come to Vietnam to work as a supply clerk. Having Wayne with me at the Combat Center was great because we were best friends, and I didn’t become lonely living away from home in a foreign land. However, the need and obligation to be with an infantry unit never subsided. After six weeks, Wayne went to Korea, and I joined First Platoon Alpha Company 3rd Battalion/1st Infantry Regiment 11th Brigade. We departed for our new assignments two weeks after my nineteenth birthday. 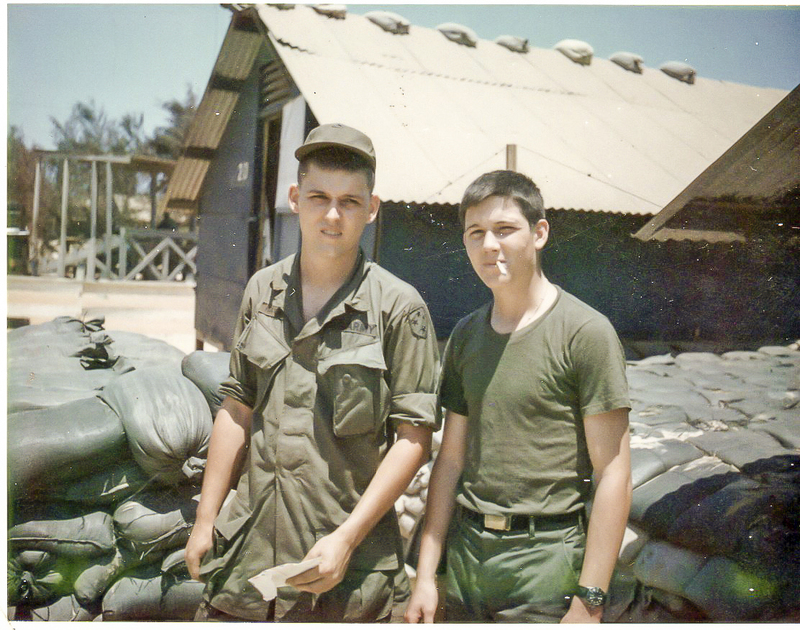 When leaving the Combat Center to join my infantry platoon, I was young and naive about war. It was eight months later that I came back to this same spot looking for any job that would be safer than being with an infantry platoon. 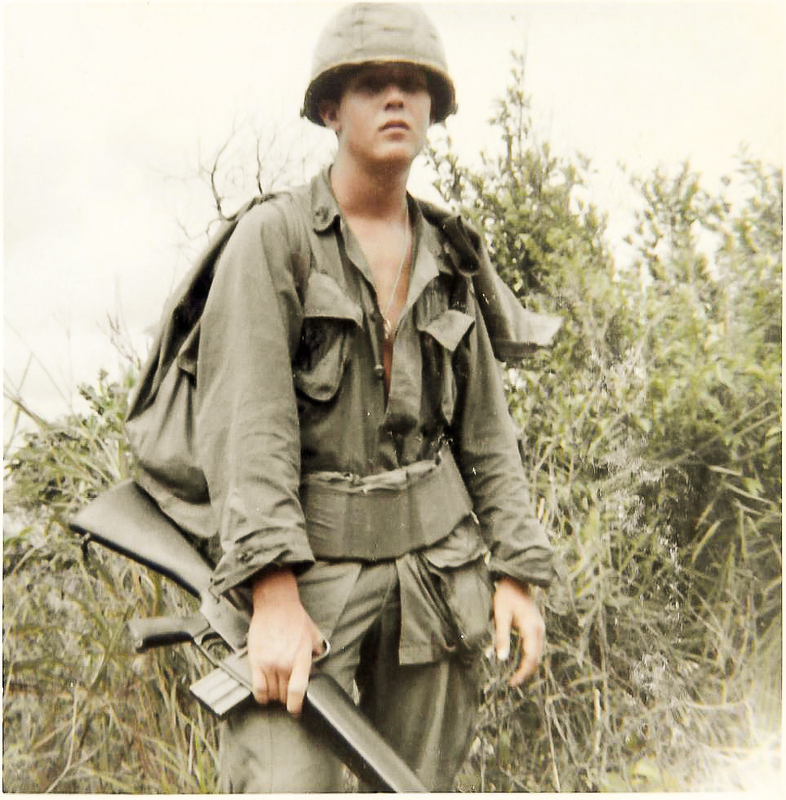 While serving with First Platoon, it took no time to discover that war wasn’t about service to my country, or duty, or fighting communism, but daily survival for my platoon brothers and me. During a firefight, I didn’t think of the American flag, defending the United States, patriotism, or even keeping the ground we stood on, my thoughts were of my brothers to my left and right. Nothing else mattered but watching over each other and going home. 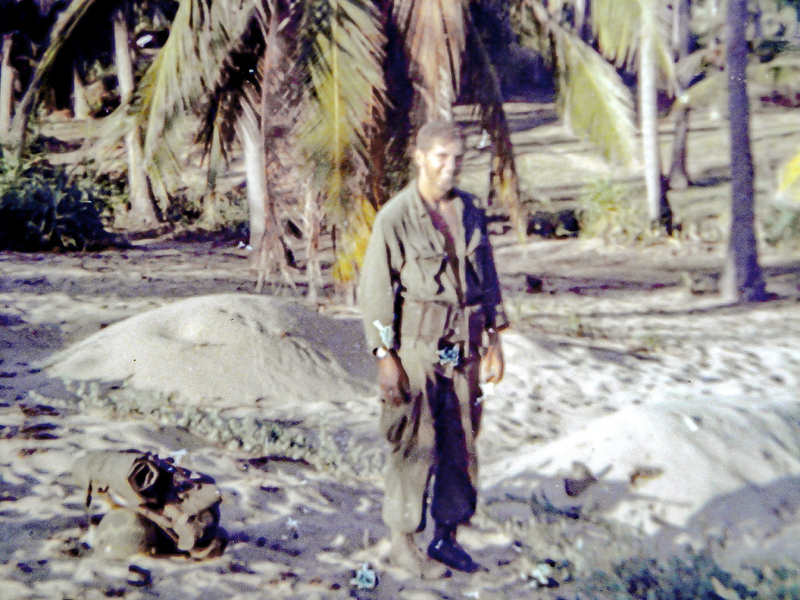 Little did I know how the hardships, the horrors, the killing, and the dying would affect me during my time in Vietnam and long after the war ended. The fear and guilt that war and combat created have since followed me every day of my life.